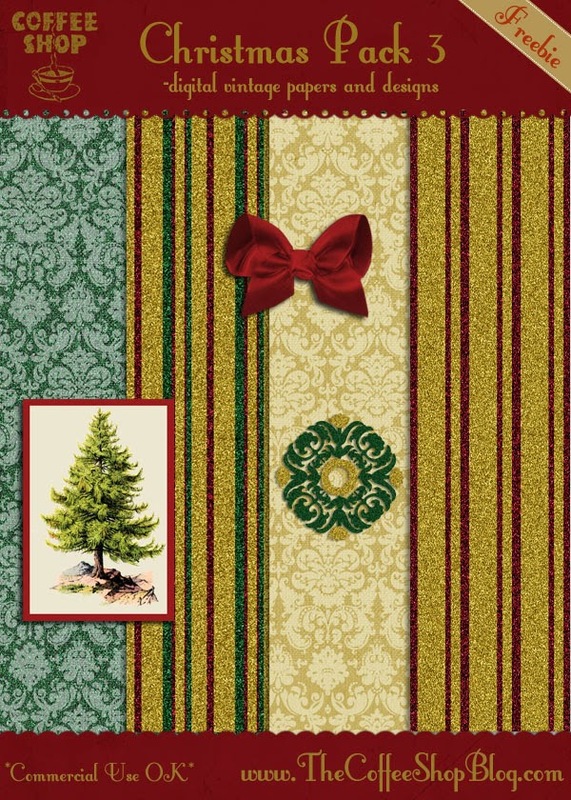 The CoffeeShop Blog: CoffeeShop Christmas Digital Paper/Design Pack 3! CoffeeShop Christmas Digital Paper/Design Pack 3! Here is a new Christmas digital pack! It includes papers/textures (some with glitter!) and a few other design elements. I want to thank Graphics Fairy for the tree design I used to make one of the stickers. These design elements can be used in cards, storyboards, websites/blogs, Facebook covers, etc! I hope you enjoy them. Download the CoffeeShop Christmas Set 3. You can also download it here. My first time visiting you. Thank you for these beautiful papers and the other Christmas items. Blessings! Thank you for the pretty papers.